It’s that time of the year again where our weekend dinners are spent at wedding banquets. With the rapid modernization, young couple in Malaysia are ditching the traditional customs for a hassle-free, cost effective occasion. While hantaran is still widely practiced in the Malay culture, Guo Da Li, on the other hand, is a diminishing art among Chinese young couples, hence resulting in the dwindling wedding businesses from the older generations. Fung Wong is the place to go if you want to get Chinese wedding biscuits. It is in business since over 100 years ago, which is why you’re in for a good treat with their generation-old recipes. These sweet pastries must be given in pairs, its pastries consists of red bean paste and lotus paste. Do placee your order with them at least 2 weeks in advance to get a special price. Address: No. 21, Jalan Hang Lekir, 50000 Kuala Lumpur, Malaysia. Kee Heong started off as a small confectionery shop in the 80s. With more than 20 years of diligently experience, Kee Heong is now being manage by the second generation. The production of cookies and pastries are gradually tended to be more diversify, besides the Kee Heong Honeycomb Cookies, Wedding Biscuit, Kee Heong also produces the pastries or cookies for festive celebration, such as Love letter (Kuih Kapit), Peanut Biscuit’ and moon cake during Mid Autumn festive celebration. Address: 1C, Jalan BS 7/22, Taman Perindustrian Bukit Serdang, 43300 Seri Kembangan, Selangor. Yong Sheng offers a variety of selections; they have a wide array of cakes and cookies for you to choose and they’re all very affordable. Other than this wedding set, there are other biscuits you can choose from at their stores. They have a few branches in areas like Subang, Johor and Klang! 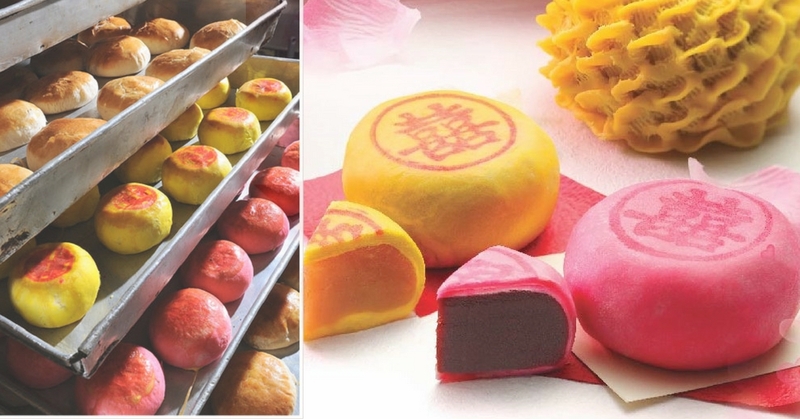 For 40 years, Tong Kee has been dedicated to retain the traditional skills and techniques in its baking process, aspiring to uphold and pass on the rich culture of the Chinese from one generation to another. Meticulously prepared based on Tong Kee secret recipes, a box of traditional wedding biscuit comes in a pair- lotus and red bean paste. They also make wedding fondant cupcakes! Address: 61-G, Jalan SS21/60, Damansara Utama, 47400 Petaling Jaya, Selangor.